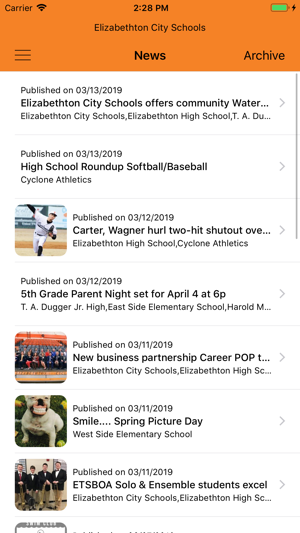 The Elizabethton City Schools app allows you to stay up-to-date with the latest news, events, and notifications from the district, including all of our schools. 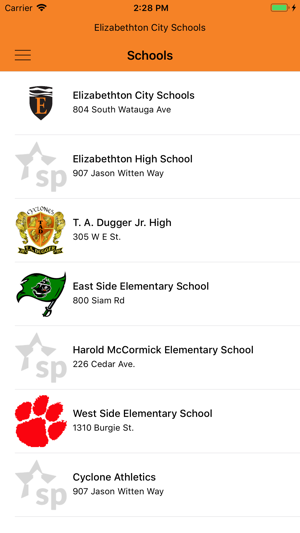 • Select the school from which you want to receive news, events, and notifications. 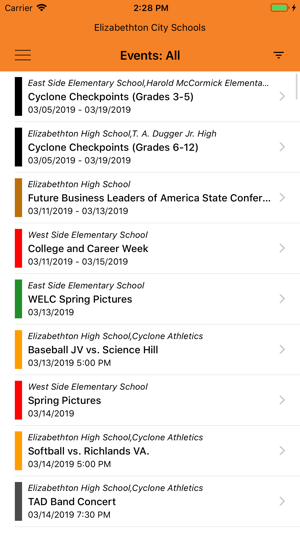 • School events can be added to your phone calendar. 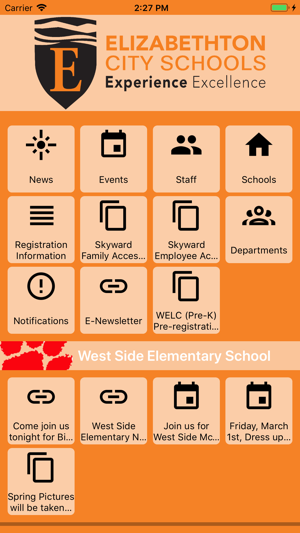 • View building information including addresses, phone numbers, and office hours. 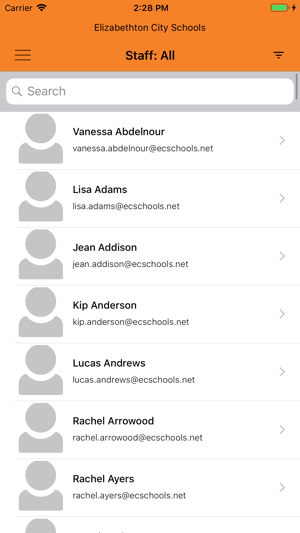 • Search our staff directory for teacher contact information.